Most people understand that buildings outfitted with secure, storm-resistant roofing material like metal are less prone to damage from hurricanes, hail storms and other damaging weather events. 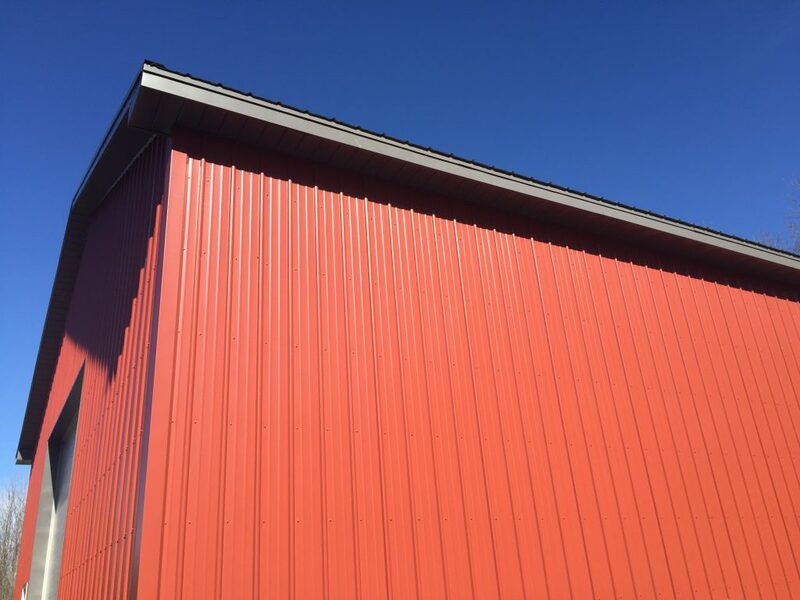 Not only does this strength provide safety and security for the building owner, but those qualities also translate into cost-savings outside of what’s saved due the longer lifespan and lower maintenance requirements of metal panels. Even the most basic metal roof is a shield against hail damage, but of course some products and roof designs offer even greater protection. To protect against hail damage, the optimal option is a heavy-gauge metal panel roof installed over solid plywood or oriented strand board (OSB) sheathing. Two of the most comprehensive post-storm studies found that such roofs survived even the biggest hailstones without punctures or leakage. [i] In the worst cases, the damage to the metal was only cosmetic. Metal roofs can withstand wind gusts as strong as 140 mph. Because they consist of large interlocking panels, they’re less susceptible to uplift than individual asphalt shingles and offer fewer entry points for water. Many people ask about metal roofing’s lightning resistance: does its conductivity make it more susceptible to strikes? The answer is no: not only is a home with a metal roof no more prone to this than any other structure, but if it is struck by lightning the large metal surface will do a good job of safely dispersing that energy. [iv] And because metal is not flammable, a strike is much less likely to start a fire, which is often the most devastating result of a lightning strike. Confirmation of metal’s durability and safety comes from a third party business with a real stake in the matter: the insurance industry. Some insurance companies offer lower premiums for the use of qualifying wind- and impact-resistant roofing materials like metal. These include large national insurers like State Farm and Nationwide, which offer discounts in 26 states plus one Canadian province for certain roofing products with Class 4 wind ratings. 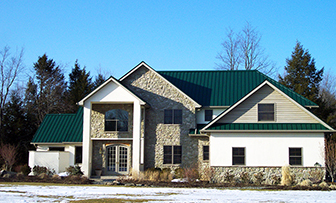 Most metal roofing manufacturers, including American Building Components, have several products on their lists. For more information on ABC’s roof products, please visit our website or contact your local representative today.